Flexice gel packs are a excellent cheap alternative to buying an ice pack as well as a wheat bag as they can be used both hot and cold. When frozen, Flexice is extremely efficient as the gel transforms into a cooled, soft white paste which can be moulded to fit any area that requires treatment. 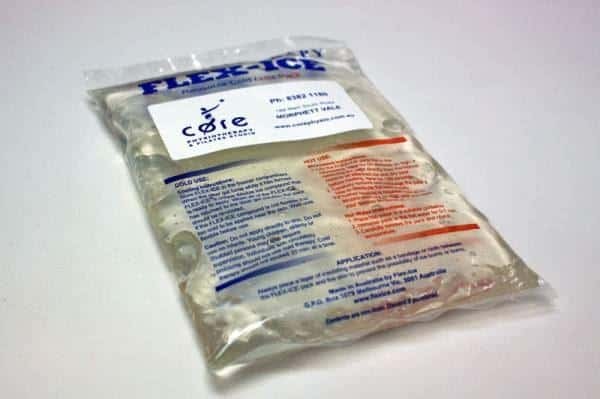 Unlike most other gel packs, Flexice can be heated immediately after being removed from the freezer, which ensures easy use and storage for whichever temperature is required. Flexice packs can be reused and are weight tested up to 100kg, ensuring that they are strong and durable in their construction. Made from food grade ingredients, Flexice is guaranteed to be completely non-toxic and is approved by the Therapeutic Goods Administration. Flexice is available for purchase at any of Core Physio’s 9 Adelaide locations.